Doctor Who: Companion Pieces - ERIMEM | Warped Factor - Words in the Key of Geek. Hail to the Queen, says Tony Fyler. So old news, Nefi! 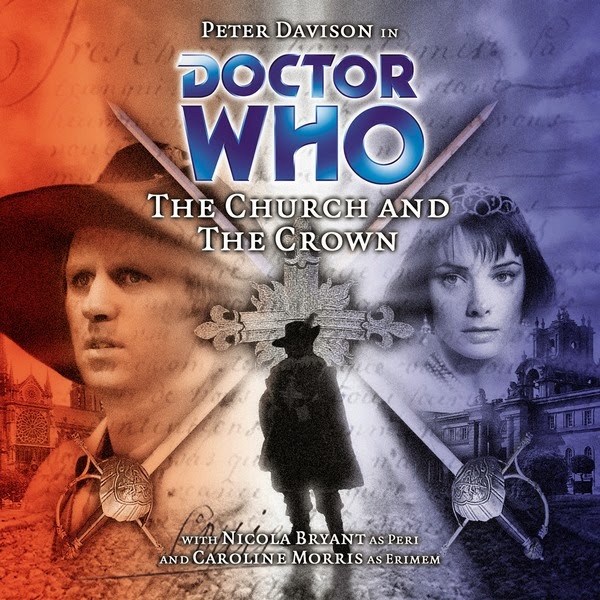 The Doctor was doing the same thing six lifetimes earlier, when the Fifth Doctor picked up a Pharaoh tired of the politics and the politicians of her own time, and keen to expand her understanding of the universe at large. Pharaoh Erimemushinteperem, or Erimem for short and for mercy on the tongue, was a young girl destined to be a god-queen for the Egyptian people when the Fifth Doctor and Peri dropped into her world in the Big Finish story The Eye of the Scorpion. While not understanding a great deal of what they said, Erimem was grateful to the Doctor for saving her life from at least a couple of the assassination attempts that were relatively commonplace among competing candidates for the whole god-king gig, and in Peri, she found a friend who was willing and able not to quake in fear of her proclamations, which was a second, if technically less dangerous characteristic that Erinem, to her credit, found extremely tiresome in the people of her own time. When the Doctor and Peri finally left Egypt, Erimem asked to come with them, and the Doctor relented, fairly certain he could do so without imperiling the web of time, because he had no memory of there ever being a Pharoah Erimem in the first place. Despite her youth – she was just 17 when she joined the Tardis – Erimem had been trained from an early age in the art of rule, and so she faced the universe with a combination of charming naivety (the world was the way it was) and an inquiring curiosity. She was rarely one to shrink from situations, and in her very first trip in the Tardis, landing in 17th century France in The Church and the Crown, she rallied troops of two technically opposing French factions against the invasive English hopes of George Villiers, feeling it made not only strategic sense but also on some level, moral sense for the forces of Louis XIII and Cardinal Richelieu to be mutually employed against an enemy of the nation. While she may have had an innate tactical skill though, her inclination was more towards learning and the constructive exercise of power than it was to leading armies – in Son of the Dragon and The Bride of Peladon, she allies herself in matrimonial terms to powerful rulers, feeling she can be of use to them both, irrespective of her own personal desires. That’s another constant as far as Erimem is concerned – she’s not a traveler for travel’s sake. She has the distinct idea of travel in the Tardis as a journey, with a beginning and an end, even though she has no particular idea where or when that end might be. But she’s not along simply for a joyride. She also takes her sense of self and her sense of obligation to be useful very seriously – when she gets engaged to Dracula in Son of the Dragon, she’s not pulling a technical stunt or biding her time; she stays true to her betrothal until her fiancée releases her from it after a defeat in battle – marriage to the ruler of Ungro-Wallachia is a viable destination as far as the Egyptian queen is concerned. Likewise in The Bride of Peladon when she finally chooses an end-point for her Tardis travels, she views her engagement to Prince Pelleas pragmatically – rather than being a teenager swept away by hormones and the opportunity of a handsome prince, it’s very much the opportunity to be useful in a position of leadership that attracts her. She actually says that she and Pelleas are ‘very fond’ of each other, and that from such fondness, love may blossom, but more, much more to the point, she feels she’ll be able to guide Pelleas in how to be a good king to the people of Peladon. For all she’s an advanced, enlightened potential god-queen in ancient Egypt, Erimem keeps a sense of her value as a ruler or co-ruler uppermost in her mind. Even in her own perfect mental mindscape, she’s a ruler, as we hear in The Mind’s Eye. So it’s both interesting and unusual to hear Erimem the girl, rather than Erimem the sensible potential leader – but when we do, it’s always a joy – Carline Morris was an actress with reasonably little experience when she came to the role, but in Erimem she pulled off quite a balancing act between the youth and the weight of responsibility that are the two essential sides of the would-be Pharaoh’s nature. As early as No Place Like Home, she’s bantering with the Fifth Doctor in a way that even Peri took longer to do, and their mutual (if essentially rather cruel and bullying) treatment of the power-mad mutated rovie (a mouse-like creature) that has slipped on board the Tardis and found itself a megalomania shows the easygoing girl beneath the weight of the responsibility of being Pharaoh. 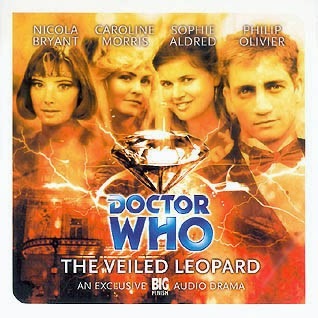 What’s more, in stories like The Veiled Leopard, where Morris and Nicola Bryant go Doctor-Light, and The Bride of Peladon, where the two have some great scenes together contemplating destinies, we get a glimpse of what the addition of a second female companion could have done to the on-screen dynamic in the late-Davison Tardis – giving Peri a pal, a girlfriend, someone to giggle and share secrets with, opens up the American’s character enormously, and allows her to return the favour for Erimem, to again bring out the young girl beneath the Pharaoh, and potentially, though never with any particular degree of success, expand her understanding of her options. Erimem was never going to stay with the Doctor indefinitely – originally she left Egypt hoping he might be able to take her to a great seat of learning, but her self-determined destiny was always to be a good ruler of a people in need, so it’s no surprise that her time in the Tardis was comparatively short, or that she lacked the kind of extended arc of some other Big Finish-specific companions like Lucie Miller, Charley Pollard or Evelyn Smythe. But in developing a character that was a delicate balance of youth and responsibility, of easy laughter and destiny, Morris and the Big Finish writers who helped build her character made Erimem a believable force of enthusiasm and level-headed pragmatism for at least most of her audio lifetime.